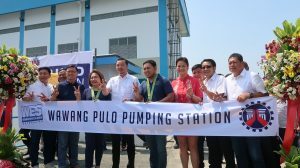 The Philippines’ Department of Public Works and Highways (DPWH) and the City of Valenzuela inaugurated on April 6, 2019 the Wawang Pulo and Coloong pumping stations that will minimize flooding in the city’s low-lying areas, where most poor and vulnerable populations live. DPWH Secretary Mark Villar and Valenzuela’s 1st District Representative Wes Gatchalian led the inauguration. 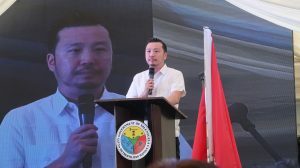 Bulacan’s 4th District Representative Linabelle Villarica, other top officials from DPWH, local governments and key partners including CDIA further graced the event. 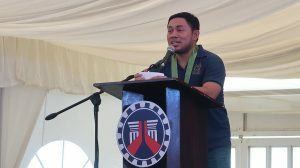 “We implemented these projects to help in draining major areas of Valenzuela City to the Meycauayan River, easing the damages caused by frequent flooding that the residents have long been suffering from,” said Secretary Mark Villar. Valenzuela, one of the 16 cities in the Philippines’ National Capital Region is highly susceptible to flooding due to its location and natural environment. As it is bordered by three interconnecting rivers, the city is highly exposed to tides and flashfloods especially during rainy seasons. 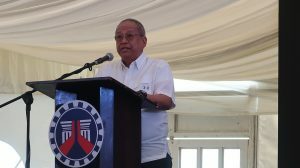 The project has a total cost of Php 1.02 billion (roughly $20M) for the two stations and other auxiliaries, as explained by DPWH Flood Control Management Cluster Project Director Patrick Gatan. He also described that each pumping station has a main pump house and flood gate, automatic mechanical trash rakes, generators and garbage disposal area, among others. The trash rakes will prevent waste from intruding the pumps and help in cleaning the rivers. 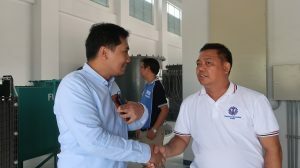 “With the waste collection facilities, we are assured that the water pumped to the Meycauayan River will be free from solid waste,” said Rep. Linabelle Villarica from the neighboring Province of Bulacan. Wawang Pulo has four submersible pumps, while Coloong has two submersible pumps. The total water discharge capacity for Wawang Pulo and Coloong stations are 14 cubic meters per second, and 7 cubic meters per second, respectively. 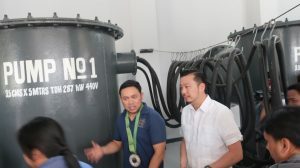 “Even in the midst of a strong typhoon or monsoon rain, the facilities will be able to pump out 80-90% of flood water,” said Valenzuela Rep. Wes Gatchalian. 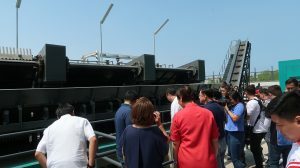 The two pumping stations are some of the priority measures identified in the masterplan and feasibility study of the Valenzuela-Obando-Meycauayan (VOM) Flood Control Drainage Improvement Project. In 2015, CDIA supplemented the VOM by conducting a pre-feasibility study (PFS) on integrated flood risk management for Valenzuela. The PFS identified both internal and external structural measures to mitigate flood and improve drainage. It also advised non-structural measures to build the resilience of urban infrastructure and enhance the preparedness of the city, including the construction of a disaster and emergency operation center. “Our PFS support aimed to contribute to the city’s efforts in minimizing the effects of flood damages, and improving the health and livelihood of residents. 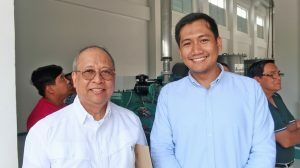 That is why we are happy to have witnessed the inauguration of the two pumping stations, which considered initial recommendations from our PFS team,” said CDIA’s Urban Development Specialist Brian Capati.